Exhibit: François Schuiten and Benoît Peeters’ Revoir Paris Reimagines the Future of Yesteryear | Comics Vacation! 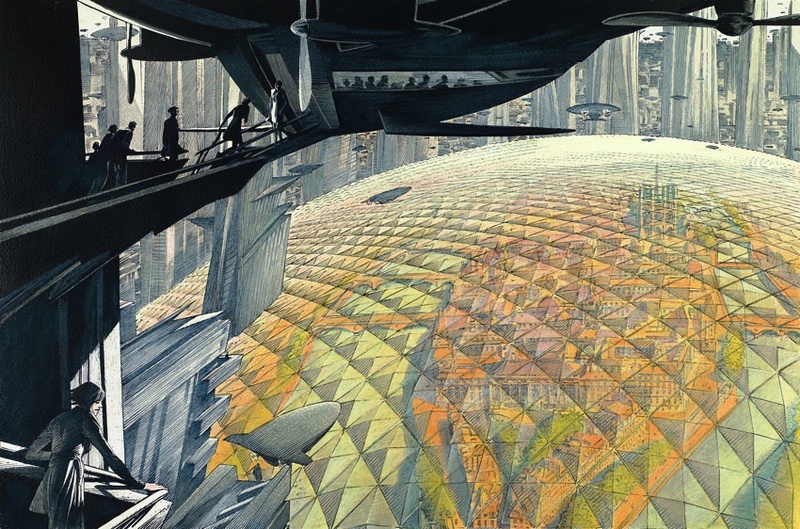 Few are better at creating alternate universes than that of Franco-Belgian comics visionaries François Schuiten and Benoît Peeters. With a keen focus on the culture, politics, and architecture of these places, they have been exploring the themes of changing urbanism amidst neo-futuristic fantasy landscapes, set on their own version of earth, for the last 35 years. Each volume of the series takes place in a different city, with its own distinct infrastructure; with their latest installment of the Les Cités Obscures series, Revoir Paris (Casterman, 2014), the duo gives the French capital their own elegant, science-fiction makeover. In conjunction with this release, the Cité de l’Architecture et du Patriomoine has invited them to curate a show to host their vision, a vision well-supplemented with the work of Paris’ legacy of innovators. Part art exhibit, part speculative installation, there is as much attention given to the city’s history of urban planning and design as there is to fantasy and utopian daydream. This past weekend, I had the pleasure to indulge my fancy and take it all in. From the moment I had entered the exhibit room, I could tell that everything I had read about the show had been regurgitated from the press release. These reviews made no mention of the overwhelming ambience—the mood created by the layout, the lighting, and the minimalist, atmospheric soundscapes—that subtly filled in the gaps of the room not occupied by art or installation. All of these elements combined to create, very appropriately, what felt like a vault in time. As viewers, we were isolated from the outside world and left only to focus on these concepts, which in their own ways could just as easily be thought to forecast certain visions—both realized and not—of the future of civilization itself. It was most effective. 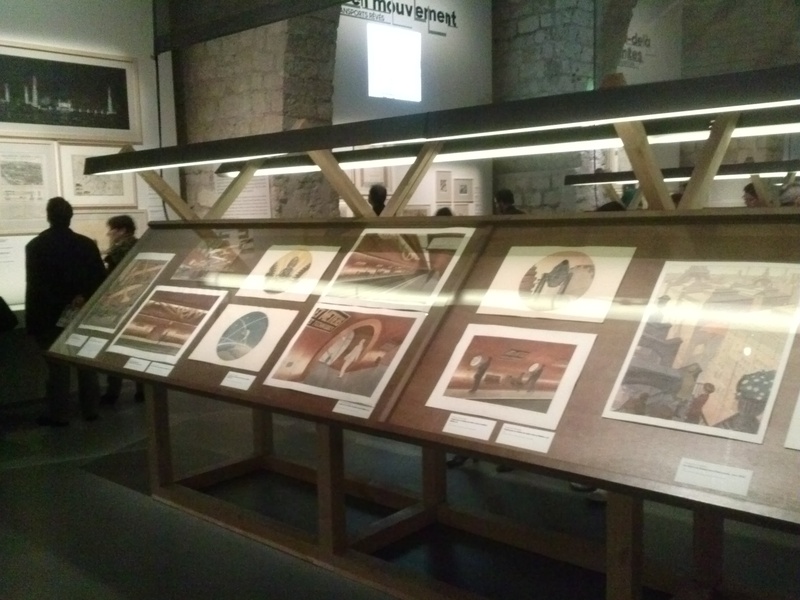 The original artwork of François Schuiten was displayed in rows in the middle, where visitors could view the incredible draughtsmanship up close—deftly composed, meticulously executed, and elegantly hand-colored. Schuiten has an amazing knack of maintaining the scope of his worlds by always leaving the grandeur right outside the window; while his stories are filled with a great deal of intimacy, one never forgets that just beyond the frame lay a sprawling, sometimes incomprehensible city, one that is not afraid to tempt both the limits of horizon and sky above. This section contained nearly 100 original compositions: concept art of his design of Paris’ Arts et Metiers metro stop, Jules Verne’s Paris in the Twentieth Century, the Greater Paris project, and most recently, Revoir Paris. Le Grand Paris. Image courtesy of Altaplana.be. The Schuiten originals alone would have been compelling enough, but to make this exhibit even more thought-provoking, was the inclusion of tribute to those individuals that have marked two centuries’ worth of innovation of the city. Organized by themes like metamorphosis of the capital, world expositions, transportation infrastructure, the city from the sky, the periphery, and utopian spirit, these sections included classic conceptual architectural art, drawings, and models by Haussmann, Robida, Le Corbusier, Hector Horeau, Auguste Perret, Jean Nouvel, and many more. 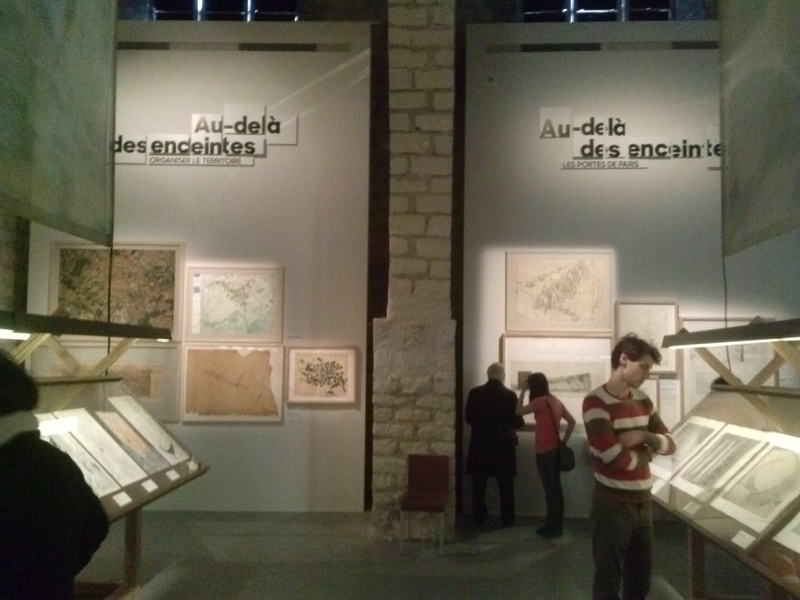 The exhibit was altogether stunning, and absolutely worthy of permanent display. 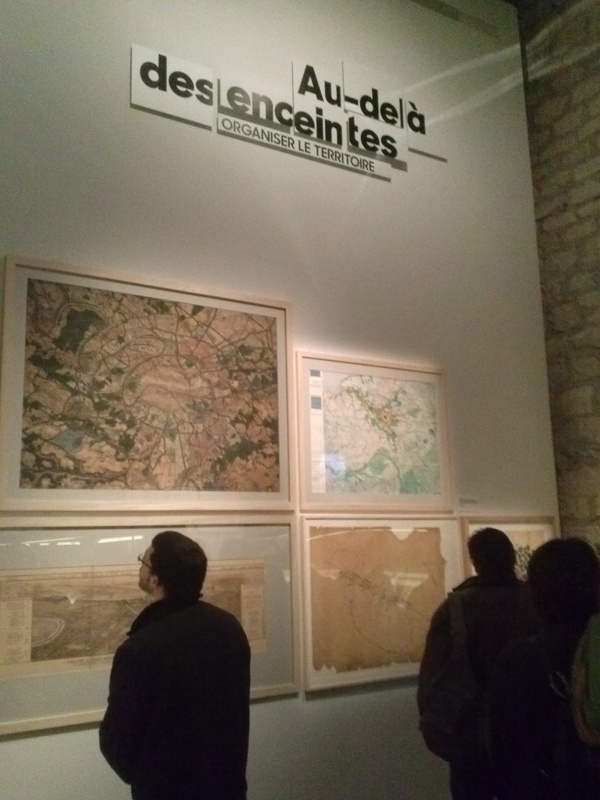 For further reading on all things related to the Les Cités Obscures universe, a comprehensive review of the exhibit, and art from Revoir Paris, check out the Altaplana website. To buy recent english translations of the series, visit Alaxis Press.